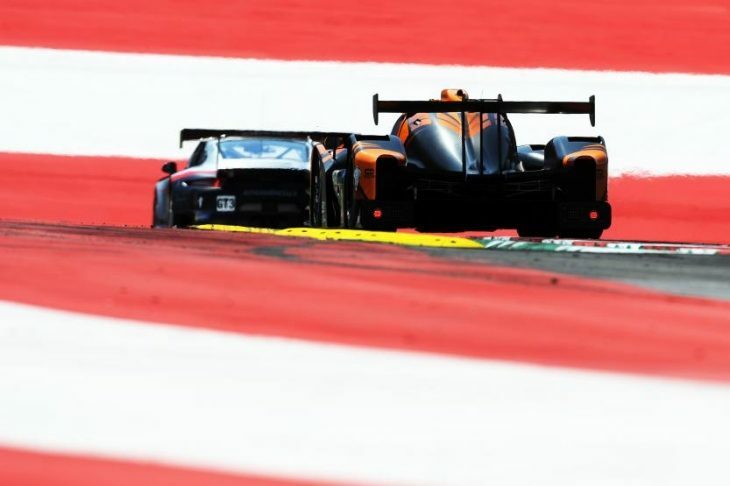 Championship-leading team DKR Engineering’s #3 Norma M30 set the pace on Free Practice day at the Red Bull Ring for the Michelin Le Mans Cup runners, Leonard Hoogenboom setting a 1:26.841 in the first of the two sessions during the day to go top of the sheets. Later in the day, the time then went unbeaten in the second session, his time therefore stood as the best of the day. In session 1, Hoogenboom’s time was 0.590s quicker than Road to Le Mans winner Duncan Tappy in the #25 Lanan Racing Norma. Fellow Briton Colin Noble posted the third fastest time in the #79 Ecurie Ecosse/Nielsen Racing Ligier JS P3, which is sporting a new livery this weekend, the Scott within seven tenths of the fastest time. The GT3 category meanwhile was topped by the #8 Kessel Racing Ferrari F488 of Giacomo Piccini in Free Practice 1, the championship leader finishing the 60-minute session with a 1:29.917, two tenths faster than series newcomer Krypton Motorsport’s Mercedes AMG GT3 of Stefano Pezzucchi. The #77 Kessel Racing Ferrari was third fastest with Andrea Piccini finishing the session just 0.064s off the Mercedes and 0.348s behind his brother in the lead Kessel machine. Then in the second and final Free Practice session, it was a 1-2 for the Swiss Cool Racing team. 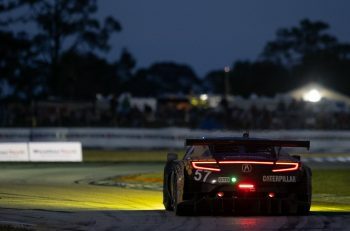 The session was declared wet with less than 10 minutes remaining as rain began to fall on the circuit at Turn 9, which did cause some of the teams to head to the pits. As the chequered flag was waved it was the team’s #9 Norma at the head of the field after Scott Andrews set a 1:27.265 lap, which was four tenths off Hoogenboom’s morning time. 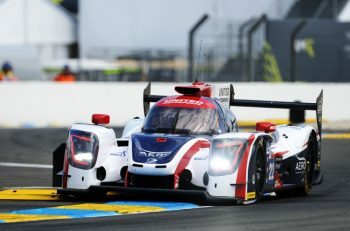 In the session though Andrews was 0.349s ahead of his teammate Antonin Borga in the sister #24 Cool Racing Ligier, who was just 0.004s ahead of the third fastest car, the #21 DB Autosport Norma of Nicolas Schatz. In the GT3 category he #8 Kessel Racing Ferrari 488 of Giacomo Piccini which set the pace, the Italian setting a 1:30.045 lap, slightly slower than his fastest lap during the morning session. The #77 Kessel Racing Ferrari was 0.141s behind the #8 after Andrea Piccini set a 1:30.186. And making it a Ferrari 1-2-3 was the #51 Spirit of Race F488. Qualifying will take place 11:50 tomorrow morning with the GT3 category followed by the LMP3 session at 12:15.